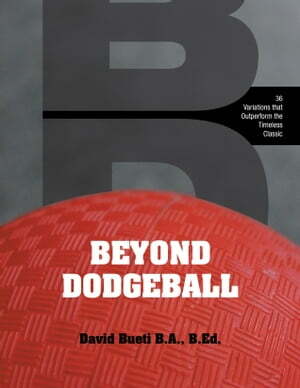 Collins Booksellers - Beyond Dodgeball: 36 Variations that Outperform the Timeless Classic by Bueti, David, 9781460271612. Buy this book online. Beyond Dodgeball: 36 Variations that Outperform the Timeless Classic promises your classes will be jammed with non-stop, sweat-pouring, heart-pounding action. Developed in over a decade of dodgeball experiences, the unique games and specialized rules within maximize physical activity for all ages. These Dodgeball variations are suitable from Kindergarten to adulthood and include social considerations as well as modifications for different play spaces and facilities. Be prepared to become the most popular instructor. This is dodgeball at a whole new level. This book goes Beyond Dodgeball.